Raziel finds himself far into the future where demons have overrun Nosgoth. Raziel enters the ruined mountain home of Janos Audron, where Kain warns that dark forces are mustering against both of them. Raziel continues to a Reaver forge, where he finds murals depicting a war between two ancient races, one of which possessed wings and championed the Soul Reaver as a holy relic. These beings eventually became the first vampires following a curse from their enemies. Using the empowered Reaver, Raziel finds another timestreaming device and finally arrives during the time of Janos Audron. Raziel enters Janos' restored retreat and creates a path to Janos' mountain-top inner sanctum. There, Janos reveals himself as the guardian of the Reaver, a vampire weapon that drains the blood of its victims which Raziel is inexplicably drawn to. Suddenly, Sarafan storm the retreat, and Janos teleports Raziel away to sacrifice himself to save him. Raziel returns to save Janos, only to see his human self cut out Janos' heart. The Sarafan leave as the retreat collapses, and Raziel swears vengeance as Janos dies urging him to reclaim the Reaver the Sarafan have taken. Raziel pursues the Sarafan to their stronghold and finds five of his vampire brothers, also Sarafan. Moebius appears and uses his staff to nullify Raziel's spectral Soul Reaver, forcing him to take up the material Reaver. Raziel uses the Reaver to kill his brothers and eventually impales his Sarafan self with the Reaver. Afterwards, the spectral Soul Reaver coils around the material Reaver, and the two attack Raziel and begin to drain his energy. Raziel then realizes his destiny - to become the soul-devouring entity in the blade that transforms it into a soul-stealing weapon, and thus be stuck in a time loop. Suddenly, Kain emerges from the shadows and draws the Reaver from Raziel, separating the two blades and stopping Raziel from being drawn into them. This event changes time again, and Kain, possessing new memories created by the altered timeline, tries to warn Raziel about the "Hylden". As Raziel dematerializes and enters the spectral realm, he finds the spectral Soul Reaver still bound to him, and realizes Kain has not changed his destiny, merely postponed it. This ending leads into the events of Legacy of Kain: Defiance. Soul Reaver 2 was met with positive reviews. IGN gave it a 9.0, praising the dark atmosphere and intriguing story, but noted that it can become tiresome and drag on. The reviewer also thought the "haughtiness" and drama of the dialogue, particularly between Raziel and Kain, was often overdone. 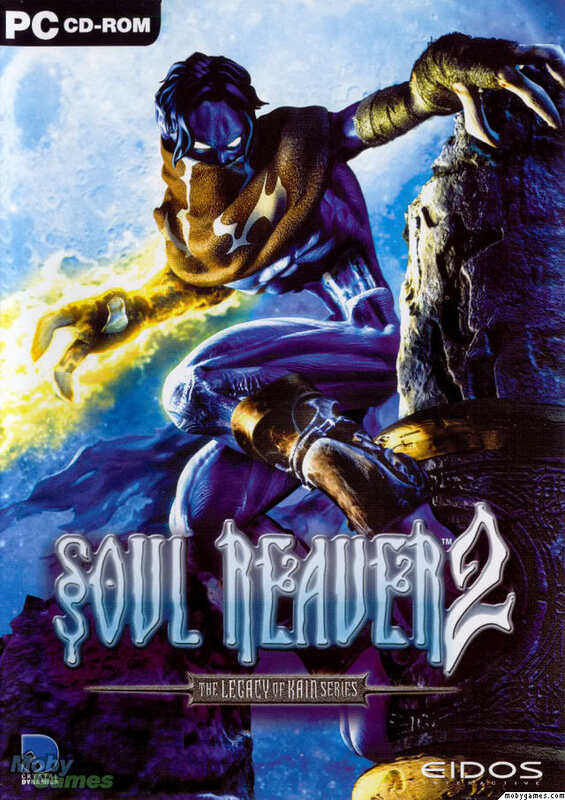 The gameplay was noted to be near identical to the first Soul Reaver game but with less replay value, although the new puzzles involving the elemental powers of the Reaver were enjoyed for being more complex and diverse than the block puzzles of Soul Reaver 1. The improved combat system was also praised. Gamespot gave the game a score of 8.8, finding the gameplay to be similar to the Tomb Raider series, also published by Eidos Interactive. The change from block puzzles to elemental puzzles were also praised, as was the combat system. However, the game was noted as shorter than the first game with fewer sidequests and puzzles and almost no boss fights, while the original Soul Reaver had seven. The fact that the sequel still did not give a definite resolution to its storyline was also criticized. Isn't there a Ps2 Version? Yeah. A PS2 and computer version. Why? Aceviper wrote: Yeah. A PS2 and computer version. Why? Its because, I don't have a store that has both of them. But why bother to have BOTH? The story is the same after all! and too lazy to read a walkthrough! Legacy of Kain is a series of video games developed initially by Silicon Knights in association with Crystal Dynamics. After a legal battle, Crystal Dynamics continued the series without Silicon Knights and Eidos Interactive became the publisher. Each game in the series incorporates elements of action and puzzle-solving in its gameplay and all are set in the fictional world of Nosgoth, united by the character of Kain, the series' amoral vampire antihero. To date five games comprise the Legacy of Kain series, (Blood Omen, Soul Reaver, Soul Reaver 2, Blood Omen 2, and Legacy of Kain: Defiance) each one developed for video game consoles and later ported to Microsoft Windows. Critics widely praised the games for high-quality voice acting, storytelling, and visuals. mid-process which required Silicon Knights to increase its staff level. Crystal Dynamics sent several staff to assist Silicon Knights. After "herculean efforts", Blood Omen: Legacy of Kain released in late 1996 to success and acclaim. PlayStation-era games. A commercial and critical success, it sold 1.5 million units worldwide, and the strong reactions of players to the game's cliffhanger ending impelled the developers to come forward and allay concerns that it was released unfinished. While Soul Reaver was still in development, Crystal Dynamics assembled another team to create a game that would succeed to the Blood Omen title, and when the Soul Reaver team started work on their follow-up in late 1999, two Legacy of Kain games were in simultaneous development. Legacy of Kain: Soul Reaver 2 had an accelerated development cycle and was released after two years, despite switching from PlayStation to sixth generation consoles early in the project. At first, it was a PlayStation 2 exclusive in conjunction with Sony, but eventually, a port by Nixxess Software was released for PC. Soul Reaver 2 was a sales success, though it did not eclipse that of its prequel. Blood Omen 2: Legacy of Kain had a longer development period, and released six months after Soul Reaver 2. A key point of focus for the Blood Omen 2 team was the main character, Kain; Crystal Dynamics had "a huge investment in Kain as a character". Despite middling critical reception it was released on four platforms and sold well. Lemarchand) shortly after the release of Defiance sparked fan speculation that it would become the last Legacy of Kain game. The deaths of voice actor Tony Jay and Crystal Dynamics employee Kyle Mannerberg were regarded as further setbacks. Nonetheless, there are signs that Crystal Dynamics has not forgotten Legacy of Kain in the form of easter eggs in Tomb Raider: Legend, and statements from Eidos US CEO Bill Gardner expressing interest in reviving the Legacy of Kain series. continuation of the story after the events portrayed in Defiance. project was canceled. The future of the series is unknown at this point. the Tomb Raider series, there is some speculation it could actually be referring to the Legacy Of Kain series. That was an interesting piece of news Wiki provides. I've played the 3rd and 5th installment of the game. 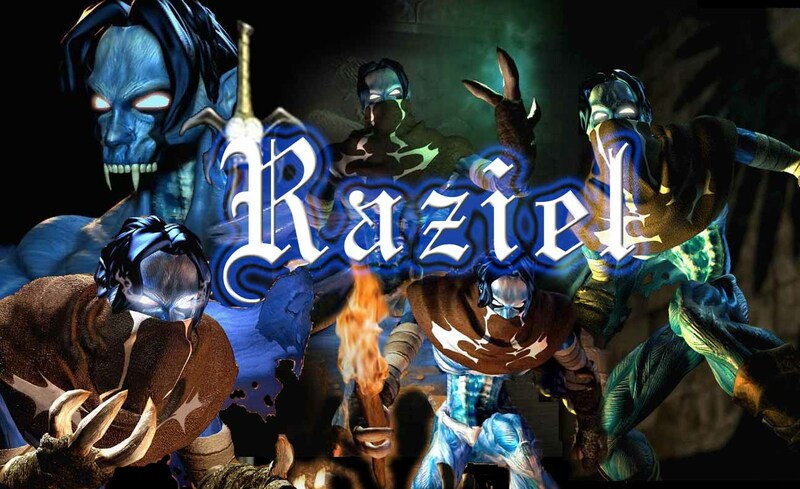 Firstly, Raziel is a VERY cool name. Secondly, this is an extremely exciting game - at least when you aren't stuck running around in circles solving the puzzles in the game. But this game is different from most other games. I actually enjoyed listening to the story more than playing the game.